"The one thing that I really like about this team is how we really figured it out," said Dodgers closer Kenley Jansen, who tied for the NL lead with his 27th save. "That kind of shows you the type of players that we have in this locker [room], that we've got to put stuff behind us and never panic." The Dodgers have had plenty of reason to panic. A post-World Series hangover lingered into the start of the 2018 season as they opened 16-26. Their starting pitching has been ravaged by injuries. That includes Kershaw, who appears to be back to full health just in time. 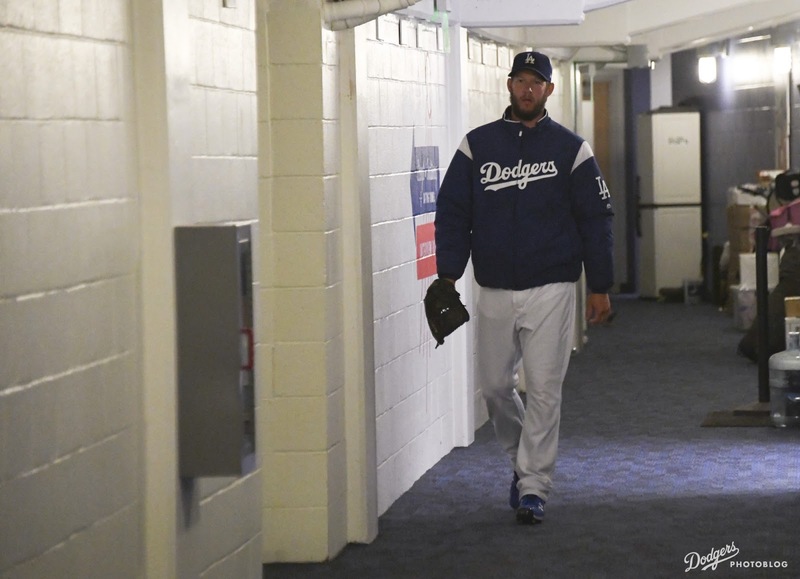 "I think we're playing a little bit more now like what we are," Kershaw said. "I don't think we're a 16-26 ballclub, obviously. Good for us to right the ship; good for us to right the ship that quickly." This Day in Dodgers History: In 1948 Brooklyn agrees to a deal with the Giants that releases his manager, Leo Durocher, so that he may become the skipper for the Giants. Burt Shotten would take over the managerial position for Brooklyn. Happy Birthday, Don Ross, Tommy Tatum, Norm Sherry, John Purdin & Eric Surkamp! Via Evan Bladh at Opinion of Kingman's Performance; "...and then there were twenty." 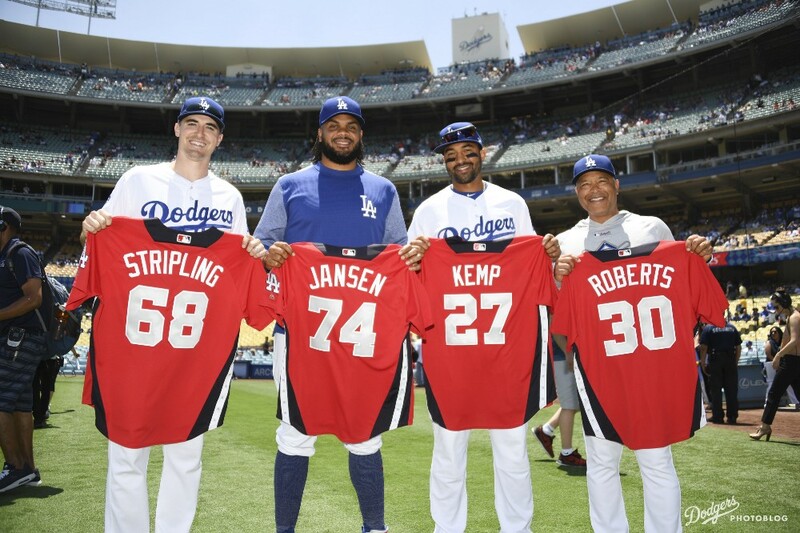 He takes a look at the remaining 20 former Brooklyn Dodgers still with us. Per Dustin Nosler at Dodgers Digest; "2018 Dodgers Prospects: Midseason Top 30 Update." Per Mike DiGiovanna at the LA Times; "Dodgers' Muncy says he'll practice restraint at home run derby." Roberts, the National League All-Star manager, is not concerned about any possible negative effects. Per Shawn Campbell at the Oleans Times Herald; "Dodgers’ surprising home run star Max Muncy is son of Portville native." “Max grew up watching the Derby,” the 1972 Portville Central graduate added. “Usually we would be up here in New York with all his cousins at my grandmother's cottage trying to find a place to watch it. For him to be actually in it is unreal. I can't imagine doing that, but then again he plays in front of 50,000 people regularly. Via Patrick Brennan at Beyond the Boxscore; "Scott Alexander is one of baseball’s biggest outliers: In an age of fly balls, Alexander stands alone as the premier groundball pitcher." Per Chris Evans at Dodgers BluePen; "Yusniel Diaz: Top Prospect Homers Twice In MLB Futures Game." Among the 76 qualified pitchers at High-A, Gonsolin has now recorded the third-best strikeout- and walk-rate differential (23.1 points) — just behind Emilio Vargas, actually, featured below. There’s some reason to believe it’s a product of more than just polish, as well: despite his relatively modest pedigree, Gonsolin touched 100 mph last year and sits in the mid-90s according to multiple reports.